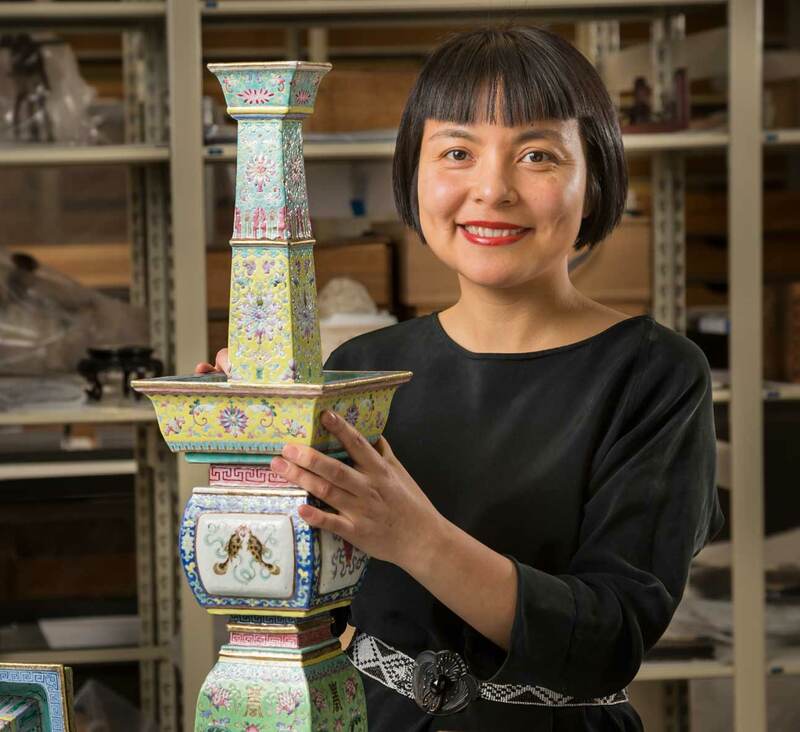 Joining PEM in 2013, Dr. Wang leads the PEM’s Chinese, Japanese, and Korean art exhibition programs, collection-based installations, research, and acquisitions. The upcoming major exhibition Empresses of China's Forbidden City she co-curated with Jan Stuart opens at PEM in 2018, shedding new light on the role of empresses in shaping court art and history of the Qing dynasty. It is a partnership between PEM, the Smithsonian’s Freer and Sackler Galleries, and the Palace Museum, Beijing to celebrate the fortieth anniversary of U.S.-China diplomatic relations. A specialist in Chinese contemporary art and later Chinese art, particularly imperial portraiture, textile, and lacquer, Dr. Wang has served at the Smithsonian’s Freer Gallery of Art and Arthur M. Sackler Gallery, where she contributed to a number of exhibitions, including Echoes of the Past: The Buddhist Cave Temples of Xiangtangshan and the artist Cai Guo-Qiang's Explosion Event on the National Mall. Her publications cover topics ranging from Buddhist art to contemporary art, and the history of collecting Chinese and Korean art. She earned her Ph.D. in art history from Ohio University and is a recipient of a Getty Museum Leadership Fellowship and a Smithsonian Post-Doctoral Fellowship. Dr. Wang’s work has been merited with a Smithsonian Scholarly Studies Award (with Blythe McCarthy) and a Smithsonian Valuing World Cultures Award (with Alice Tracy). Wang founded the American Alliance of Museums' China Program, the largest annual US- China museum professional exchange program.